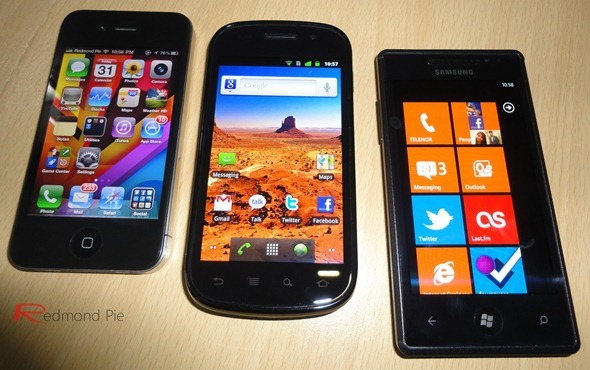 Nokia has stepped into the boxing ring between Apple’s iOS and Google’s Android. In an interview with Pocket lint, Niels Munksgaard, a Nokia director, explained how the younger crowd are tired of their iPhones and Android devices. The lack of security he may be speaking of is the recent Carrier IQ fiasco. The tracking application, seen by many as simply spyware, was found on both the iPhone and Android phones. He goes on to say that the shopping experience is very crowded and confusing for the average consumer. He describes the current lineup of phones as a variety of “black mono-blocks sitting on the shelf.” The director of Portfolio, Marketing & Sales for the company has a solution. To give customers an “out-of-the-box” experience by including Nokia Mix Radio and other free services that don’t require fees or subscriptions. But it seems to me that the younger generation is more tech-savvy than the rest, having grown up in a smart phone dominated society. I just don’t see them going into a cell phone store and being confused over the current lineup of devices. Sure, they are all basically the same shape and same color, but they all have different features and capabilities that reach out to each person differently. Nokia’s is placing most of their bets on the Windows platform that runs on their phones. As the OS continues to grow, so will Nokia, offering more products and accessories. While Munksgaard believes wireless transfers are the way to go with Nokia phones, he realizes a need for a docking station as well; he’s sure third party makers will fill that need. It seems that the punches fall a little short. Both Apple and Android phones offer entertainment out of the box and a truck load of free apps available for download. Granted, they do require a log on to access their respective stores. Let’s not cast Nokia aside right away, though. It will be interesting to see how the company fares.